This entry was posted in Anonymous and tagged photo essay, photo-protection, sun screen by humanemedicine. Bookmark the permalink. 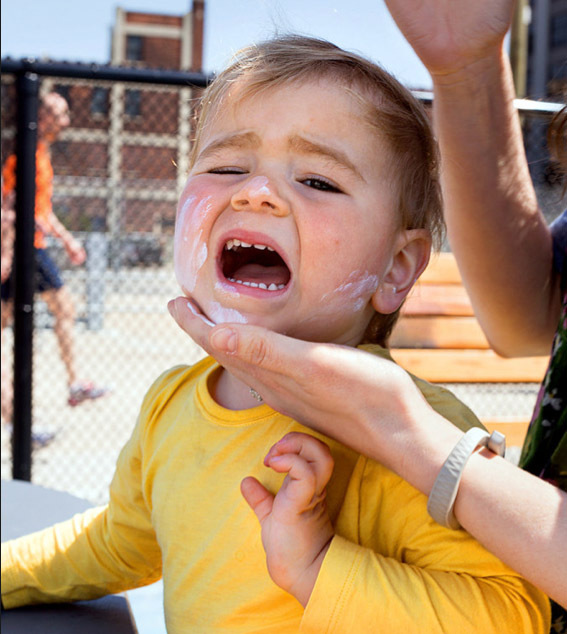 It is indeed inconvenient and distressing to apply these pasty sunscreens every day — especially when they do not understand why their parents do this to (for) them. However, I’m sure their parents’ best interest is in them — protecting their children from the sun damage since most skin cancers arise from sun exposure in their early years.